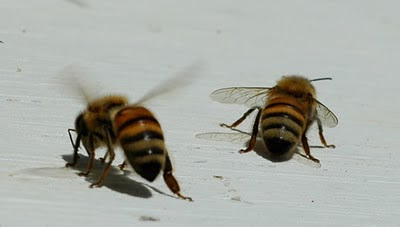 Okay, so bees aren't perhaps at the top of everyone's list of pets, but bees from the right species and with the right housing could be considered domesticated animals. If you keep them (or horses or dogs or kittens), are you liable for everything your animals do? Nothing worse than a kitten with cattitude, you know! In common law jurisdictions like the U.S. (outside of Louisiana), Canada (outside of Quebec) and the U.K. (outside of Scotland), liability usually flows either generally from common law jurisprudence developed through court decisions of the past hundreds of years, or from statute law created by politicians in our legislatures. This matter involved damages caused to the claimant's car by a goat of the defendant … At a time when the defendant was away on vacation his goat was being “goatsat” by another person, at 6:30 in the early morning … the claimant was driving her child to daycare and when that child exited the car the goat appeared and went after the child. The child’s screaming alerted the mother and older siblings who were also in the car at the time. The child tried to get away from the goat however the goat continued to try to jump on the child. Running around the car the child eventually managed to get back in the car however the goat proceeded to go after the child ramming into the car and causing damage. An older sibling who was in the car tried to get the goat away from everyone but was unsuccessful and the goat eventually jumped onto the car causing further damage. For all these reasons the defendant is liable for damages caused by his goat. Statutory liability which modifies common law principles is sometimes stated in quite general terms, like in Manitoba's The Animal Liability Act, which defines animal as "any creature that is not human" and stipulates that "the owner of an animal is liable for damages resulting from the harm that the animal causes to a person or property, but ... the court shall reduce the damages awarded in proportion to the degree ...to which the fault or negligence of the plaintiff caused or contributed to the harm." An exception is only provided for "livestock" where the Act states there is a defence to claims for their damage when "control of the livestock was in accordance with generally accepted agricultural practice; or ... the livestock was at large due to an act of God or the act or default of [another person]." But what if a wind storm blows down a fence that wasn't adequately maintained? Some statute law gets very specific, like Ontario's Dog Owner's Liability Act which was already limited to only one species of animal, and which then was recently extensively amended in an attempt to ban pit bulls on the dubious assumption that such a ban would dramatically cut down on the number of serious dog bite incidents in the province. That Ontario law states that: "The owner of a dog is liable for damages resulting from a bite or attack by the dog on another person or domestic animal" and that "The liability of the owner does not depend upon knowledge of the propensity of the dog or fault or negligence of the owner, but the court shall reduce the damages awarded in proportion to the degree, if any, to which the fault or negligence of the plaintiff caused or contributed to the damages." However, "Where a person is on premises with the intention of committing, or in the commission of, a criminal act on the premises and incurs damage caused by being bitten or attacked by a dog, the owner is not liable ... unless the keeping of the dog on the premises was unreasonable ...."
As you can see, pet owners are held to a very high standard of care when it comes to preventing their animals from injuring people or property. For non-farm animals like dogs, liability may in fact be absolute such that even a defence of due diligence will fail. I have one lawyer friend who told me that dog bite law suit cases used to be a sure fire winning part of this plaintiff practice, producing significant recovery for plaintiffs (and fees for him). You've been warned. And especially beware of goats! It's great that you take the lawyers advice whether it's a friend or lawyer. Every state laws different like Wills And Estate Lawyer in Brisbane will give the advice according to the place just like you have stated the Ontario law.